Advance Packaging & Adhesives LLC is best manufacturer and supplier of PVC pipe Wrapping tape all over UAE including Abu Dhabi–AUH, Ajman – AJM, Sharjah – SHJ, Dubai – DXB, Fujairah – FUJ, Ras Al Khaimah – RAK, Umm Al Quwain – UAQ. 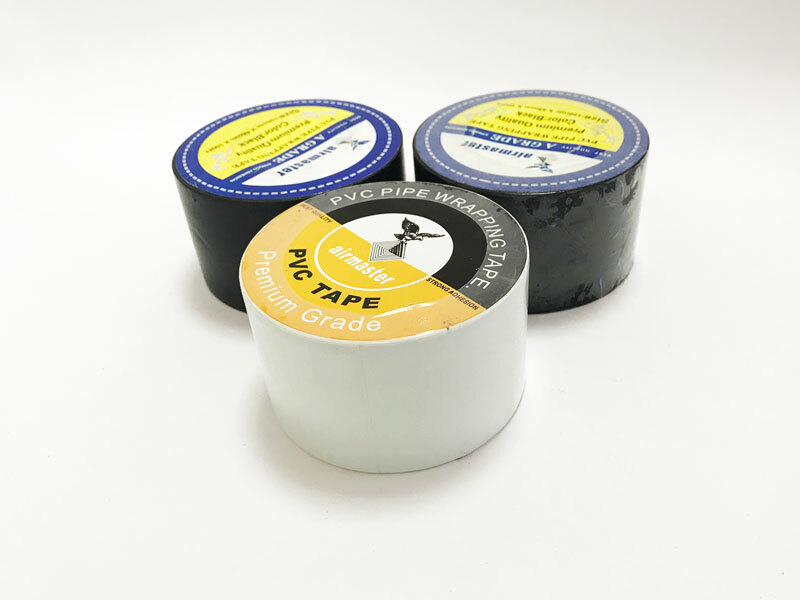 PVC Pipe Wrapping tape composed of soft film with rubber based PSA it is characterised by excellent insulation, good flame retardant properties and excellent resistant to low temperature. This is used a lot by the underground pipe contractor to protect Iron & Steel pipe from corrosion, also used to protect PVC pipe from corrosion due to ultraviolet rays in above the groung installation. PVC pipe Wrapping tape is also used in oil field industry to wrap above and underground pipes prevent corrosion due to high methane levels in the soil around oil field. Airmaster tape will supply PVC Pipe Wrapping tape all over UAE including Abu Dhabi–AUH, Ajman – AJM, Sharjah – SHJ, Dubai – DXB, Fujairah – FUJ, Ras Al Khaimah – RAK, Umm Al Quwain – UAQ.